I had learned about Nazi concentration camps and death camps in school, but I had never heard about Treblinka. And that was the goal. 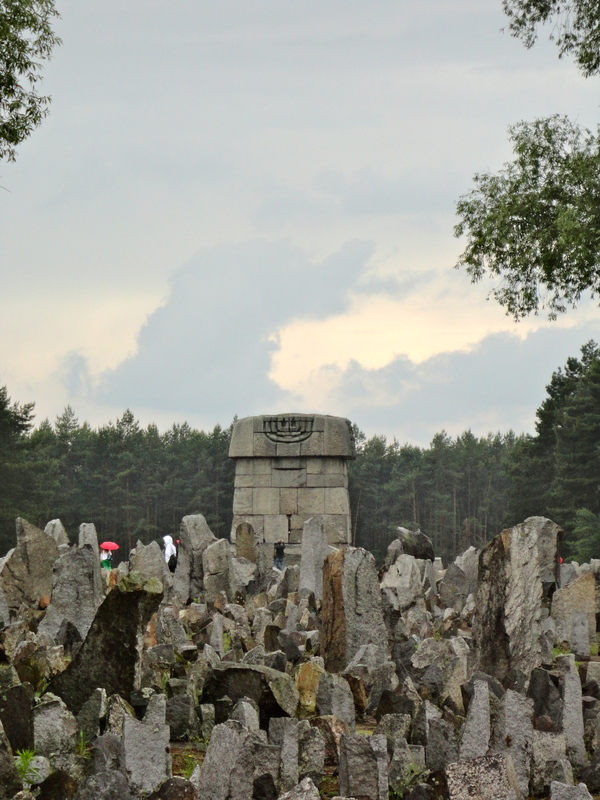 Treblinka was one part of a larger crusade to erase a people and their history. Even the camp itself was meant to be erased from the history books. 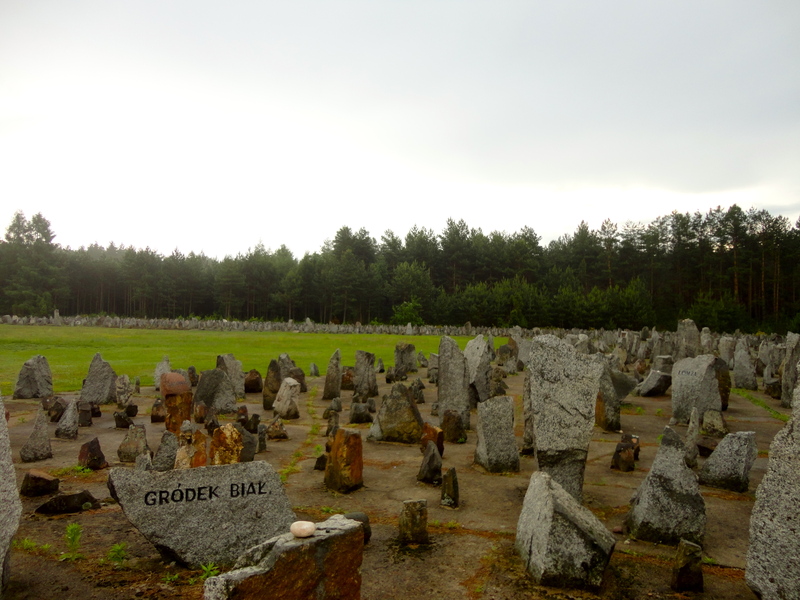 Treblinka was located in the woods, about 2 or 3 hours north of Warsaw. It was built as an extermination camp, a death camp. Technically, the death camp was Treblinka II, as there was a work camp, Treblinka I, located not far away. But the two camps had only their names in common. They had different administrations and different goals. Workers in Treblinka I knew nothing about nearby Treblinka II (from here on, just Treblinka). This division was on purpose. In camps like Auschwitz-Birkenau, workers in the concentration camp could see and hear what was going on in the death camp. They were witnesses. In Treblinka, there were no witnesses. It was a very strategic system. 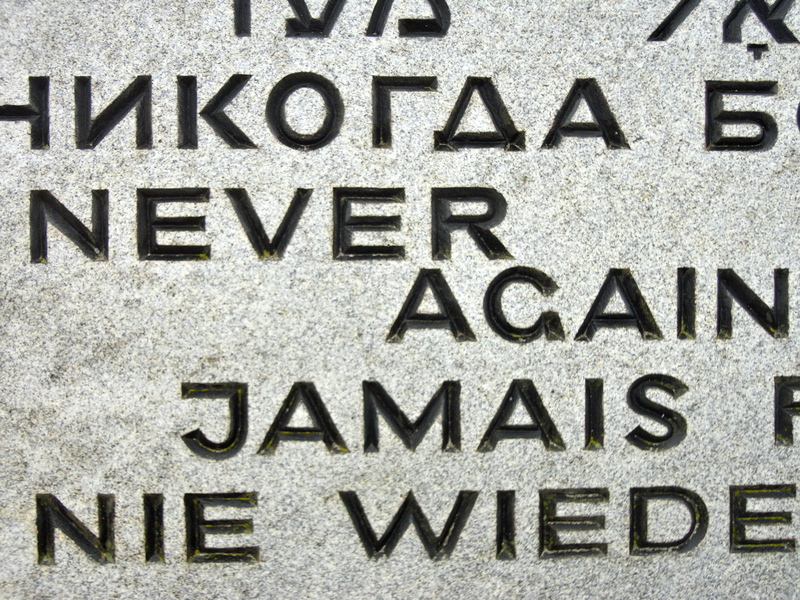 Jews were brought, either from Warsaw or other areas of Poland, to Treblinka. Many of them knew about the nearby work camp and thought that they were going to work. They were told that they were being disinfected after hours of standing in railway cars. They came in groups of up to 2,000. Within 2 or so hours they had all been directed into gas chambers, where they were killed and then cremated. Almost 1 million people were killed at Treblinka. Unlike other camps, there was no registration, so we don’t have names of anyone who was killed. They were cremated because the Nazis had learned that bodies were dangerous and the risk of mass graves being found was too high. Their clothes and goods were sent to work camps where they were cleaned and repaired before being sold on the market. The camp was closed by the Nazis when the Jewish population in the region had been mostly eliminated. Rather than leave a camp as evidence for someone to find, they disassembled it and sent all of the material to be used in other parts of the Reich. The last Jewish workers tried to escape. Most were killed for what they knew and for trying to run away, but anywhere from 80-100 survivors made it out. If they hadn’t, no one would have any idea what the camp was like or how the system worked. Witnesses and documents were destroyed. Treblinka was erased from the history books. It was a “success” story for the Nazi plan. There’s really not much else to say. The Nazis built a farm where the camp had been. When the war was over, the land was reclaimed and in the ’60s a memorial was built. The memorial is an open field where the camp once was. It’s not very big. There are close to 17,000 irregular shaped stones jutting out from the ground in the parts of the field where the most human and organic ash was detected. There is a large arch. Modeled after ancient “victory arches” from western history, this arch is instead sealed. You can’t go through. Over the top, there are almost nightmarish carvings of men and women. 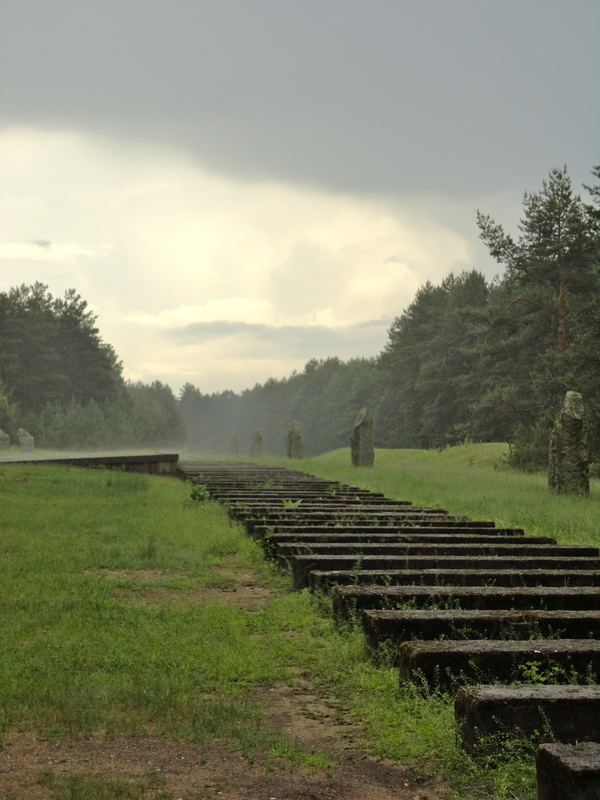 These stones mark the railroad that led to Treblinka. On the left, you can see where they built a platform where the original was. 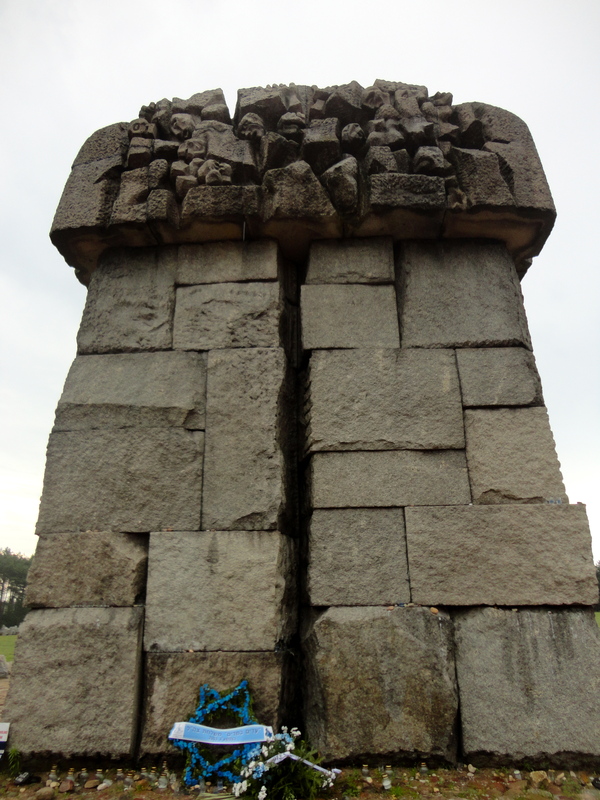 This is the stone arch that is at the center of the memorial. One view of part of the field. You can see the stones jutting up out of the ground. Another view from the other side of the field. Personally, I think the thing that I’m thinking about the most is how systematic it was, the whole Holocaust, but Treblinka in particular. It was a terribly well-executed plan. And it was carried out on horrific proportions, all across Poland. It’s nearly impossible to stand there and imagine what the camp looked like, or sounded like, or smelled like. It feels very empty. It’s even more impossible to imagine hundreds of thousands of people, almost a million of them, being systematically murdered. It’s weighty. And it makes me think. And it makes me want to examine the systems that we have, that I participate in, that lead to destruction of life. I don’t really know where else to go with it.